​When water is pouring into your home/business due to a roof leak, it needs to be fixed fast or at the very least a temporary fix applied till a more permanent one can be placed. Henrico Roofing has emergency teams on standby that we can send rapidly to your home, place of business or office in effort to stop or reduce secondary property damage- due to your roof leak. Emergency repairs are temporary and offer immediate protection of the building’s framework and its contents, while implementing a water drainage route. Some tips to reduce the water damage before experts arrive, for example when you see water building on the ceiling (looks like a large wet bubble) make a hole in the center of it while placing a bucket under it to catch the water. Next, find the entry point in the attic and plug it with plumbers putty or anything else that might plug it temporarily then put duct tape over it. Some roof leaks remain hidden because a water leak will travel along pipes or framing ending up far away from where it first started making it difficult to trace. When you can’t find the leaks source, don’t worry Henrico roofing investigators have a lot of experience finding these hidden leaks and we’ll be there shortly after you call. 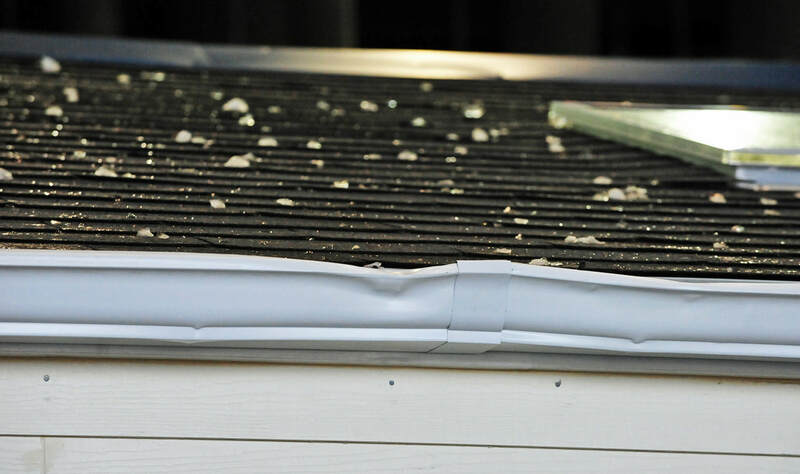 ​Don’t go up on your roof during a rain storm or strong winds. The footing is treacherous because the asphalt ceramic granules roll off very easy causing your feet to slide as soon you step on the roof. Henrico Roofing never works on a wet roof- it’s just too dangerous. If you must get on the roof to get some debris off, wait till it’s dry and make sure you wear shoes with soft rubber soles for better traction. If you use a safety harness, throw the rope all the way across the roof and tie to a solid tree- not a car someone could drive off with. ​Act immediately after a storm to limit secondary damage to your home, by inspecting your roof for damage. 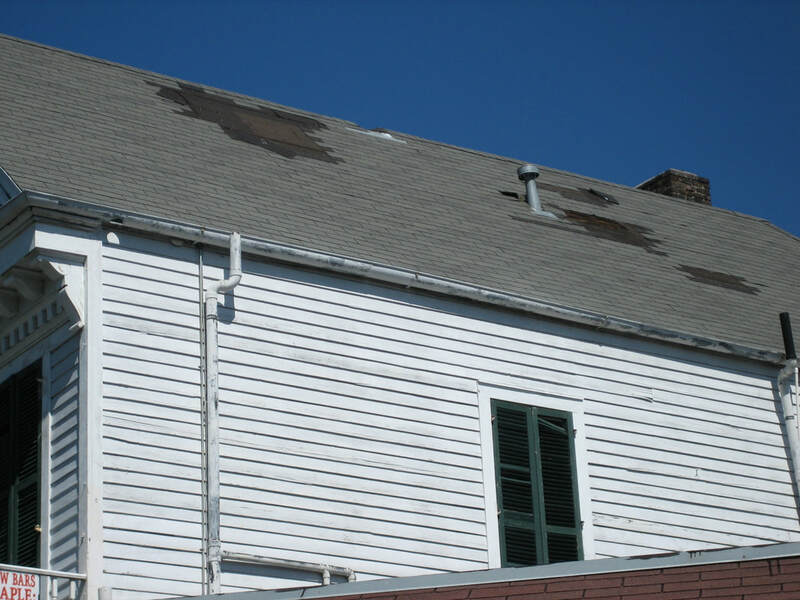 Look for missing shingles, bent vents, soffits push in, dents on the shingles, and anything else out of the ordinary. The best advice for the individual that needs a roof repair after a storm- call Henrico Roofing as soon as possible, and try to minimize additional rain damage to the home by placing buckets under leaks. The only way we can fairly handle a large increase in roof repairs is on a first come first serve basis. However, once the storm has passed, we do send a partial crew out to fix tarps over the roof damage of waiting clients. ​Henrico Roofing has experience working with insurance agents or adjusters investigating storm damage roof claims. 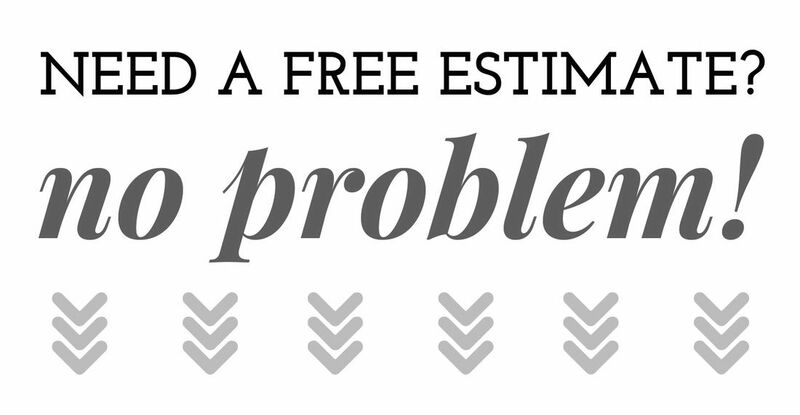 Exact and thorough repair estimates, including pictures, are provided promptly to the insurance company. Please let us know if we can be of any other assistance. ​We maintain an emergency response team 24/7 just call (804) 894-9139. During storms, we have extra representatives available to take phone calls.